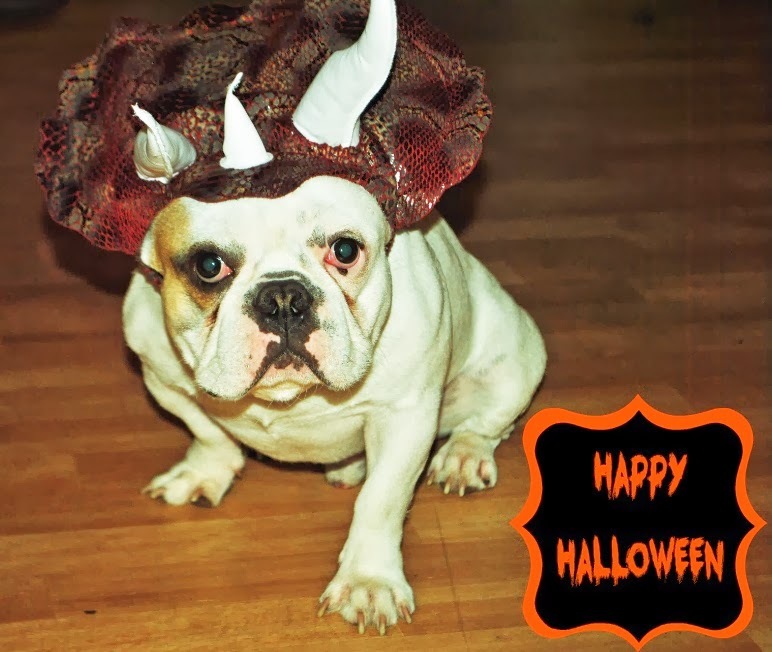 Louis wanted to dress up like a triceratops this year. Happy Halloween everyone! Cute pup! How is Halloween in Germany? Thanks. Germans so celebrate Halloween as a holiday like we do, but the younger generation is definitely catching on. I have a lot of German trick or treaters. They have Fasching in February which is like Carneval for them. They wear crazy costumes and party before Lent and there are other religious events leading up to it. He is SO adorable! My nephew and niece in Austria celebrate Fasching, but I don't know if they've started celebrating Halloween. I find it so rich that European countries celebrate holidays around religious tradition and history. Too often in America, our holidays are rooted in current retail trends, Ugh! O yes, though I don't fully understand all the details about Fasching, I got to experience it last February. Stumbled upon a random party at a beer hall and wondered why all the Germans were wearing costumes lol. They probably wonder the same thing about us in October.